Situated in the old Entumeni Farmers’ Hall, the Khamba Pot is the archetypal country retreat. A mere 25km outside Eshowe, this culinary oasis is reached by taking the road that eventually leads to Nkandla, and turning off at the first Ntumeni sign (the road is tar all the way). 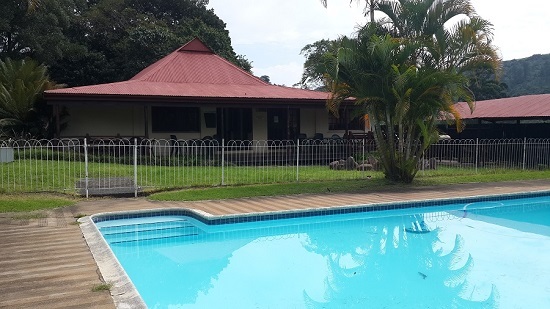 Open on most Fridays and weekends, the Khamba Pot provides visitors with unusual meals, a beautiful swimming pool and the coldest beers in Zululand. Join the local bikers’ clubs after a breakfast run, watch the Sharks in action on the widescreen TV or take refuge from the heat with a swim and a snack.